Ready for a name game? 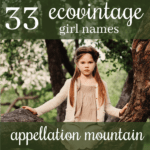 What are your favorite seven letter traditional girl names? The seven letter part is straightforward. Traditional gets a bit dicey, though. Let’s say names with a long history of use and a traditional vibe. We use most of these in English, but I expanded my horizons to add a letter X name. But mostly this is just for fun! 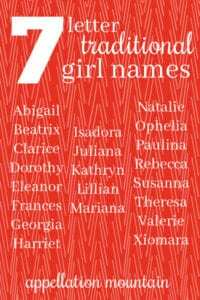 Here’s my list of seven letter traditional girl names, organized by alphabet. Abigail comes out on top for the letter A. It’s an early First Lady name with a lot of strength. Call me biased, but I’ve always found Abby a friendly, accessible nickname. The only drawback? It’s powerfully popular! So is another seven letter A name: Adeline. For something less common, Antonia might be the best bet. Romantic, classic Beatrice comes in at eight letters. But change the ‘ce’ to an ‘x’ and Beatrix is cooler, edgier, and just seven letters. Another bonus? The name comes equipped with a long list of intriguing nickname options. Two more possibilities: Bridget and Blanche. The letter C offers several seven letter traditional girl names, but I’ve picked Clarice. Tailored Clarice is a little longer than spare Claire, but comes from the same family. Expecting around Christmastime? In the classic 1964 television special, Rudolph the Red-Nosed Reindeer, Clarice is Rudolph’s sweet reindeer girlfriend. Can’t stop hearing Hannibal Lechter say this name? Camille and Celeste could substitute. Dorothysoared over the rainbow to Oz, and eventually landed in a retirement village in Miami. Today, the name feels appealing once more, a three-syllable, ends-in-y name for a girl less expected than Emily. Deborah and Dolores remain stuck in style limbo, but both have potential for a comeback, too. Jane Austen gave us Elinor Dashwood, but the ‘i’ spelling only has six letters. The more familiar spelling, Eleanor, comes in at seven, and brings to mind notable Eleanors like Roosevelt. (That makes this the second First Lady name on the list!) It’s also a nickname-rich possibility, offering choices from Ellie to Nora. For something less common, Estelle or Eugenia might serve. Frances shows signs of revival, after sliding for years. Ladylike, but with quite a bit of spine, Frances feels plenty traditional, without being as common as Elizabeth. Among the reasons Frances is back in favor? We’re wild about storybook Alice, and Frances ends with the same -s sound. But all of the Francis/Frances names are having a good run lately, likely due to the popularity of Pope Francis, elected in 2013. I sometimes call names crowd-pleasers. It’s a non-specific list, to be sure, but Georgia almost always snags a place on it. Georgia is traditional, but has a creative, even quirky flair. Like Brooklyn and Savannah, Georgia can be found on a map – but it feels less tied to location than many a place name. Even when brother George languished in style limbo, Georgia was quite stylish. Today, both are on the upswing. How can it be that Harriet, an antique name with a sweetly vintage sound and a tailored, but feminine -et ending, remains out of favor? 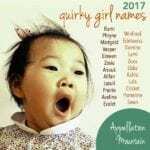 If you love traditional girl names, but fret that Abigail and Lillian are way too popular, consider Harriet instead. Isabella has eight letters. Isabel just six. And Isabell and Isabela seem not quite right. There have been saints Isidore and Isidora, and the latter spelling has been popular for girls in Chile in recent years. Juliana keeps company with Julian and Julia and plenty of related names. The literary Juliet and Juliette feel like the most stylish of the Jul- names right now. And yet, I think it is Julia or Juliana that feels most traditional. Factor in the seven letter count, and Juliana makes the list. Jasmine, Johanna, and Justine might all qualify, too. No one would quarrel with Katherine as a classic name. Regal and ancient, used by Shakespeare and John Green. The Duchess of Cambridge is Catherine, while screen legend Hepburn spelled it Katharine. You might argue that Kathryn doesn’t really count as a classic, but that wouldn’t be fair. Katherine, Catherine, and Kathryn have taken turns as the most popular spelling. Kathryn has been in the US Top 100 more years than not. I have a soft spot for Catharine, but it’s Kathryn that comes in at seven letters. Lily likely started out as a short form of Elizabeth, but today, Lillian feels like a traditional name for a daughter. It’s feminine and botanical, but not too frilly. Another contender for this spot was Lucille, but Lillian has never left the US Top 1000, which gave it the edge. Like Juliana and Eleanor and Beatrice, Mariana has more than one possible spelling. But this is the one that hits the magic seven-letter mark. Mariana smooshes together Maria and Ana. Or maybe Mariana comes from the Roman Marius, ultimately from the Roman god of war, Mars. 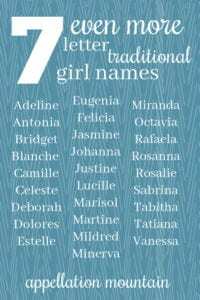 Either way, Mariana is a gorgeous name with a classic, traditional feel – but it’s less common than some of the names on this list without being too out there. Marisol, Martine, Mildred, Minerva, and Miranda could all make the list, too. If I were listing traditional names for girls, Natalie wouldn’t quite make the cut. And yet, it almost qualifies. Natalia refers to Christmas Day, and Saint Natalia of Nicomedia lived during the Diocletian persecutions. And yet, the ancient form of the name is not as steadily and consistently popular as the French Natalie. From actress Natalie Wood to The Facts of Life’s Natalie Green, the name has been a staple for most of the twentieth century, and has been a Top 100 favorite since 1976. Natalie is just as likely to be the newborn daughter as the mom. I’ll call that a modern traditional. Ophelia strikes some parents as too, too tragic for a daughter. Hello, mad scene? And yet, it’s definitely trending. Some credits goes to celebs like Dave Grohl, who have recently used the name for their daughter. On another musical note, The Lumineers’ “Ophelia” is all kinds of fabulous. Shakespeare makes it literary, but is that enough to call it classic? Here’s a twist: Ophelia appeared in the US Top 1000 from 1880 through 1958, then disappeared until 2015. But now Ophelia is back, and I think it’s one to watch. Another seven letter rarity that feels just traditional enough? Octavia, also rising sharply in use. Paul is an upstanding citizen of a name, solid and reliable. Paulina is every bit as traditional as her Biblical brother, but with a little bit of a romantic flourish. Interesting fact: Paulina didn’t steadily rank in the US Top 1000 until 1988, when Czech model Paulina Porizkova became a sensation and boosted her name. Despite Paulina’s status as a relative newcomer, it’s impossible to argue that Paul and company aren’t traditional – and so this name is in the club. Fans of Daphne DuMaurier’s haunting novel Rebecca will instantly have one image of this name. If your first thought is Shirley Temple as Rebecca of Sunnybrook Farm, well … that’s a different image. Regardless of your take on the name, the Old Testament appellation has ranked in the US Top 1000 consistently, and feels like a name that’s difficult to pin to any decade. That’s true even though Rebecca hugged the edges of the US Top Ten in the mid-1970s. But that was part of a long run in the Top 100, beginning in 1940 and continuing through 2006. 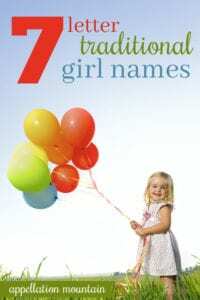 Rebecca definitely belongs with the seven letter traditional girl names. Other possibilities include Rafaela, Rosanna, and Rosalie. Susanna left the US Top 1000 after 1997, but this still strikes me as a traditional girls’ name. 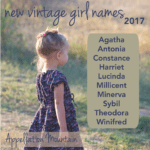 It feels more vintage than Susan, a sister for, well … Mariana or Abigail or many of the names on this list! This one isn’t a spelling cheat, either – the eight-letter Susannah also fails to crack the US Top 1000. With a long history of use and a botanical meaning, there are lots of reasons to embrace this underused gem. Literary Sabrina also seems like a strong contender. Teresa appears in the current US Top 1000, but Theresa – a former Top 100 favorite – hasn’t ranked for the last few years. Still, it’s the seven-letter spelling, and it’s hard to argue that it’s not a classic. What explains the change? Possibly some of it is thanks to the influence of Spanish, since Teresa is the preferred spelling in that language. Or maybe Teresa feels closer to stylish nicknames Tess and Tessa. Or possibly Mother Teresa swayed public opinion about the name’s spelling. Other options for the letter T include Biblical Tabitha and Russian Tatiana. Valerie reminds me of Natalie. It’s not quite as clearly classic as the Latinate form. And yet Valerie is more consistently used in the US over the years. Literary Vanessa could be another seven letter traditional pick. I almost had to call it quits after V! But then I thought of Xiomara, the attractive Spanish name that’s seen some use in the US in recent years. Again, it might be too rare or too modern to be a part of this list – but I couldn’t bear to end the list at V! Wow – that was harder than I thought! So tell me, which obvious names did I skip? What would your list look like? First published on July 27, 2016, this post was revised substantially and re-posted on February 7, 2019. My sister and I both have 7 letter names and three syllables (Eleanor and Miranda) which I always felt gave them a nice parity without them being too matchy. They both are historic, but mine was top 40 when I was born, whereas hers was outside the top 1000. (Miranda has always been much rarer here in UK than in US — equivalent to Shakespearean names such as Cressida, Ophelia, Portia rather than Olivia). 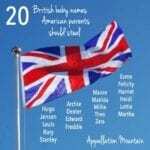 There are also less traditional names such as Lorelei and Leanna, Emerald, Liberty, Electra. … Seriously, though, is counting the letters in names really a thing?? Like it would actually influence your decision to use or not? Ooh, Elspeth & Lavinia are lovely suggestions!! It’s called a GAME chill out. Adeline, Antonia, Beatrix, Eleanor, Georgia, Lillian, Rosanna, & Susanna from the lists. Natasha — Does that count as traditional in English? I had Carolyn for C.
J–I’d submit Juanita as an alternate possible, it’s been popular in the US since the 1920s. Johanna could be another alternate possibility. R–Rachael the ‘ael’ spelling is currently less common in the US, but fairly frequently seen in the UK and Australia. I have often heard that it is actually a more traditional spelling as it more closely replicates the Hebrew pronunciation–of course I’m a little biased because that’s my name and spelling! Was so excited to see Harriet, Susanna(h) and Frances in the same list. These are all in my family and I have always thought of our naming stye as traditional – though not stuck at seven letters. We put the ‘h’ on Susanna, feeling it just looked more complete and in keeping. great list! any other suggestions for an E or L name? Oh I love this! My immediate thought was Cecelia (Cecilia) for C! Q – Queenie or Querida? I also saw Quinlan, but that’s definitely a modern take. U still has me stumped, unless you use an alternative spelling for Ursula (Ursilla?). What about Yolande or Yolanda for Y?